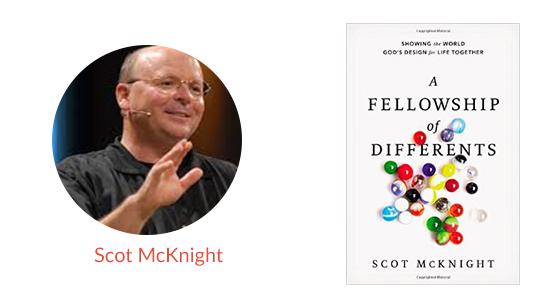 Leadership Opportunities for You – North American Baptists, Inc.
We are pleased to announce that Scot McKnight will be leading our next Leadership Teleconference discussing his book, A Fellowship of Differents: Showing the World God’s Design for Life Together, raising two significant questions: What is the church supposed to be? and If the church is what it is supposed to be, what does the Christian life look like? Join other NAB leaders on May 25 for our discussion with Scot; click below for more information. Every Church is built on a theological foundation, and that foundation will inevitably shape the ministry. With the right foundation, we have the opportunity to see beautiful churches take shape in the NAB. They can look different, but they will all have the distinct hallmarks of God’s instrument of mission for the world. Watch this short video as VP of Ministry Outreach Norm Poehlke gives a brief overview of The Foundations of Church Planting. 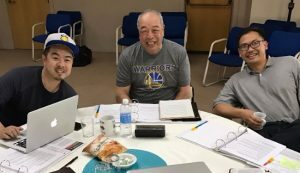 Twenty pastors and leaders representing ten NorCal NAB churches recently gathered for a 30-hour retreat to work through Module 2 of Ethos. Ethos is a two-year journey where pastors, staff, and leaders gather to receive training in missional/formational pursuits and to reimagine together the church in an increasingly post-Christian world. Presenters Cam Roxburgh, VP of Missional Initiatives, and Kent Carlson, VP of Leadership Formation, led the way, along with special guest professor Scott Hagley from Pittsburg Theological Seminary. Discussion has been rich, and this community of leaders are connecting deeply, learning from one another. Ready to find out more about Ethos in your region? Shan Reed, NAB Missionary, Japan. Shan Reed has been serving as a long-term missionary in Japan since 2001. For the past six years, she has been serving at Komyo Christian Church. One of the ministries she serves in is an English and baking class. She has also been invited to be part of the youth committee for the Japan Baptist Conference. Pray for the JBC committee as they plan and lead youth events. Also, pray for the people of Komyo Christian Church to deepen their desire to love Jesus, His word, and others. For more information, visit www.nabonmission.org/missionaries/shan-reed.Click below to view our NAB Missions website where you can find updates and information on our NAB missionaries and fields.